German philosopher Friedrich Nietzsche, believing European society was standing at a critical turning point, foresaw Europe collapsing into nihilism. The advance of scientific enlightenment, in particular the Darwinian theory of evolution, had destroyed the old religious and metaphysical underpinnings for the idea of human dignity. ‘‘God is dead,’’ declared Nietzsche’s spokesman Zarathustra, and man, no longer ‘‘the image of God,’’ is a chance product of a nature indifferent to purpose or value. The great danger is that man will find his existence meaningless unless a new grounding for values is provided. In works of powerful prose and poetry Nietzsche struggled to head off the catastrophe, writing which has made him the most compelling and provocative figure of German philosophy. A Household of Women Friedrich Wilhelm Nietzsche was born on October 15, 1844, in Rocken, a Prussian province in Saxony where his father served as a Lutheran pastor in a long line of clergymen. His father was loving to his son, keeping the child close when he wrote sermons and entertaining him with songs at the piano. But in 1846, Pastor Nietzsche, still in his midthirties, began suffering blackouts and extreme neurological distress. Three years later he died, and an autopsy reportedly revealed a condition described as ‘‘softening’’ of the brain. This death left Nietzsche in a household of women: his mother, grandmother, several aunts, and a sister, Elisabeth. The death of Nietzsche’s father meant upheaval for the remaining family. In the spring of 1850, they moved to Naumburg to live with relatives. There, young Nietzsche began studying for the ministry and wrote his first poems and plays. After attending local schools in Naumburg, in 1858 Nietzsche won a scholarship to Pforta, one of the best boarding schools in Germany. Here he received a thorough training in the classics and acquired several lifetime friends. While in school, Nietzsche became increasingly interested in music. He studied piano and, like his father, showed promise as an improviser. But Nietzsche was already suffering the headaches and eye strain that would debilitate him throughout his adult life. The headaches, which had begun when he was ten, were particularly painful, leaving him bedridden for weeks, while the eye strain resulted in burning sensations and blurred vision. The Inception of a Disease. At the end of this period of schooling, Nietzsche, who had earlier shared the genuine piety of his family, found that he had now ceased to accept Christianity—a view that soon hardened into outright atheism. With the highest recommendations of his Pforta teachers, Nietzsche enrolled in the University of Bonn in 1864. There he pursued classical studies with philologist Albrecht Ritschl, and when the latter, within the year, moved to Leipzig, Nietzsche followed. Nietzsche attempted to enter into the social life of the students, even joining a dueling fraternity, but soon discovered that his own mission in life had isolated him from the pursuits and interests that most other students shared. Some scholars theorize that it was at this time that Nietzsche contracted syphilis, a venereal disease that was incurable at the time, in a Leipzig brothel, which may have been the cause of his later madness (late-stage syphilis causes madness). In the 1890s, the insane Nietzsche prompted such speculation when he confessed to having had deliberately exposed himself to the disease on two occasions in 1866. But even these revelations are rendered dubious by his questionable sanity during disclosure. By the middle of his life, Nietzsche suffered almost constantly from migraines and gastric upsets. Loneliness and physical pain were the constant background of his life—though Nietzsche later came to interpret them as the necessary conditions for his work. The Birth of Nietzschean Philosophy. Nietzsche’s early publications in classical philology so impressed Ritschl that when a chair of philology opened up at Basel, he secured it for Nietzsche, then only 24 years old and still without his degree. The University of Leipzig awarded the chair to Nietzsche on the strength of his writings without requiring an examination, and Nietzsche entered into a teaching career. When Nietzsche took up residence in Basel, German composer Richard Wagner was nearby at Tribschen, and Nietzsche was soon drawn into his circle. Wagner was then at work on the Ring Cycle and on the great festival at Bayreuth that would soon present its premiere. The project needed publicity and financial support, and was backed by many German intellectuals. Nietzsche entered into this cause with enthusiasm and for several years was a frequent house- guest at Tribschen. Friendship with the charismatic but egocentric Wagner was, however, short-lived due to Nietzsche’s independence of thought, the quality he most valued. Prior to the break, Wagner had greatly influenced Nietzsche’s first book, The Birth of Tragedy (1872), which gave an imaginative account of the forces that led to the rise of Athenian tragedy and to its subsequent decline. Nietzsche ended the book with a rousing advocacy of Wagner’s musical drama as a revival of Hellenic tragedy. No sooner had the book been published than Nietzsche began to perceive the difference between Wagner’s musical genius and the shabby pseudo-philosophy of the Wagnerian cult. From then on, though he still felt affection for Wagner himself, Nietzsche attacked ever more vigorously the decadence of Wagner’s political and philosophical ideas. Two works of his last year of writing would deal with the subject: The Wagner Case (1888) and Nietzsche contra Wagner (1888). The Rejection by Salome. In late spring, 1882, while awaiting publication of The Gay Science, Nietzsche vacationed with Paul Ree in Italy. There Nietzsche met Lou Salome, a young, independent woman who had already impressed Ree during philosophical discussions. Nietzsche also responded immediately to Salome’s independent demeanor and he was soon confiding his thoughts on religion and morality while hiking with her in the mountains and fields. Eventually, Nietzsche, Salome, and Ree formed plans to platonically share living quarters. Nietzsche greatly anticipated this arrangement as his first possibility for steady companionship in many years. But when Nietzsche, increasingly giddy from Salome’s friendship, professed to Salome sensual desires for her, she fled with Ree. Subsequent correspondence was minimal, and Nietzsche soon found himself alone and ignored. Scholars have since cited this painful break with Salome as a possible explanation for the cruel misogyny of Nietzsche’s subsequent works. The Magnum Opus. Nietzsche’s teaching at Basel was frequently interrupted by prolonged bouts of sickness and by several months of service as a medical orderly during the Franco-Prussian War, a conflict that led to the unification of various regions into the German Empire. In April 1879 his health had deteriorated so much that he was driven to resign. He was given a small pension and began a ten-year period of wandering in search of a tolerable climate. Though racked by increasing pain from the relentless progression of his disease, Nietzsche would manage to produce ten substantial books before his final collapse, works now belonging to the first rank of German literature and containing a provocative set of philosophical ideas. After publishing his landmark philosophical work Thus Spoke Zarathustra, Nietzsche undertook revision of an earlier work, Human, All Too Human, and its sequels. Following these he also felt compelled to articulate his beliefs in straightforward prose, and from the summer of 1885 to early 1886 he wrote with this purpose. The result was Beyond Good and Evil: Prelude to a Philosophy of the Future, a caustic condemnation of conventional morality. In this nine-part volume, Nietzsche applied the concept of the will to power to specific philosophical issues, including the will to truth and the will to morality. Objective truth, Nietzsche had already proclaimed in Untimely Meditations, was unprovable; in Beyond Good and Evil, he applied the same logic to refuting notions of the self, thus reducing even human existence to the will to power. The period in which Nietzsche wrote Zarathustra and Beyond Good and Evil was full of personal anguish. His health was constantly poor, and conflict with his publisher, who was bankrupt from promoting anti-Semitic literature, further aggravated the already bedeviled Nietzsche. By early 1883 when he heard of Wagner’s death, he lapsed into still another bout of physical distress. He also experienced strained relations with his sister, who had married—on Wagner’s birthday— notorious anti-Semite Bernhard Foerster. For Nietzsche, the prospect of relations with a bigoted brother-in-law were immensely distasteful, and he even missed the wedding to avoid introductions. By mid-1887, Nietzsche was prepared to resume writing. He had already published aphorisms, poems, and sequential diatribes, but with his next work, On the Genealogy of Morals (1887), he attempted a more formal polemic. Here he addressed three specific philosophical issues—the nature of good and evil, the essence of guilt, and the meaning of asceticism—and related each subject to the failings of Christian morality. Portraying Christianity as a sadomasochistic, ultimately self-destructive order, and following his logic that the will to truth was a will to nothingness, he now added that the will to morality would prove similarly futile for Christianity. Christian morality would be destroyed by its dogmatism, a decline he called ‘‘the great spectacle’’ of his age. In 1888, Nietzsche went to Turin, Italy, and wrote Twilight of the Idols; or, How One Philosophizes with a Hammer, a seething, anti-Christian, anti-German work full of irony and sarcasm. Despite the poisonous tone of the book, Nietzsche was refreshed by his new surroundings and even considered moving his mother there with him. But his optimism was soon undermined by a disastrous trip to Switzerland, where he endured days of vomiting, and a return to his suddenly chilly home. Impoverished from a lack of steady income, Nietzsche aggravated his financial troubles by paying for publication of his new works, and was thus without means to keep warm during a cold spell that extended into June and July. After a late summer vacationing with friends, he returned to Turin to write The Antichrist, an alternately analytical and unreasoning account of Christianity and its destructive impact on humanity in the context of its relationship to Judaism. Upon completion of the book, Nietzsche is said to have experienced a final euphoria or final delusions. He believed citizens of Turin basked in his presence, that shop owners and merchants gave him preferential treatment, and that his physique was more youthful. He even wrote cheerful notes to friends describing the sunny, tree-lined boulevards. Especially refuting these perceptions, however, is biographer Ronald Hayman, who notes that Turin’s climate was actually rainy and Nietzsche’s own home was particularly drab. Nietzsche completed Ecce Homo within weeks, and became progressively worse, physically and mentally. In letters he wrote how his facial features were difficult to control and that he would often smile for long periods. Everything seemed to be achieved with the greatest ease. And, he would soon suggest, he was destined to rule the world. Nietzsche was eventually taken to a clinic, where he alternately strolled the halls muttering to himself or remained in bed. When his mother arrived from Naumburg, Nietzsche recognized her and showed relatively stable behavior before proclaiming himself a tyrant and degenerating into lunacy once again. After staying in an asylum, where he believed someone was trying to shoot him, Nietzsche moved to Naumburg under his mother’s care. In 1897, when his mother died, he was tended by his sister Elisabeth, whose husband had previously committed suicide. Nietzsche was too incoherent to appreciate that since his breakdown he had become famous through the efforts of scholars such as Georg Brandes. Elisabeth, however, realized that the family still possessed several volumes of unpublished material, including Ecce Homo and many notebooks, and she exploited her brother’s newfound fame. She hired anthroposophist Rudolf Steiner to instruct her on the fundamentals of her brother’s philosophy and cultivated a new image as a social benefactor. Her new lifestyle was entirely supported by Nietzsche’s now lucrative writings, which she augmented in new editions with her own comments. Among her most notorious literary enterprises was the suppression of Ecce Homo, which she pillaged for her own literary purposes, and an entirely forged work, My Sister and I, attributed to Nietzsche. William James (1842-1910): American philosopher and pioneer in the field of psychology. Randolph Caldecott (1846-1886): British artist and illustrator for whom the Caldecott Medal was named. Dame Ellen Terry (1847-1928): British actress who came to be known as the best Shakespearean actress in Britain in her time. Czar Nicholas II (1868-1918): The last czar of Russia. He ruled from 1894 to 1917, when he abdicated in response to pressure by revolutionaries. He and his family were executed in 1918. The Will to Power. In his constructive works, Nietzsche sought to find a force in life itself that would serve to set human existence apart. He found it in the hypothesis of the will to power—the urge to dominate and master. All creatures desire this, but only humankind has achieved sufficient power to turn the force back upon itself. Self-mastery, self-overcoming: these are the qualities that give a unique value to human life. The ideal man, the ‘‘superman,’’ will achieve a fierce joy in mastering his own existence, ordering his passions, and giving style to his character. Self-overcoming will release in him a flood of creative energy. The lives of such men will be the justification of reality; their preferences will constitute the standard of value. In Zarathustra, Nietzsche pronounced the will to power as the basic motivating force of human action, the will to power characterized as the will to overcome one’s weaknesses and embrace difficulties, both moral and social. To overcome one’s failings is to become, according to Nietzsche, the superman. The Concept of Eternal Recurrence. In The Gay Science Nietzsche also conceived of eternal recurrence, which he ranked above the will to power and the superman as the principal tenet of his entire philosophy. Derived from scientific formulations regarding energy conservation, eternal recurrence was defined by Nietzsche as a recycling of everything in endless repetition throughout time. In later volumes, notably Zarathustra, Nietzsche elaborated on this theory and shaped it into an integral part of the will to power. But in The Gay Science, Nietzsche’s conception is nearly theological instead of philosophical—with the will to power revealed by a devil who is hailed as a god for his disclosure. Influences. Important for Nietzsche’s intellectual development was his discovery and extensive reading from the works of the Greek philosophers, along with the philosophers Immanuel Kant, Friedrich Lange, John Stuart Mill, Arthur Schopenhauer, and Baruch de Spinoza, as well as those he had shared ideas with or expressed affinity for: the seventeenth-century French moralists, Darwinists, and authors on a list including everyone from Leo Tolstoy to Charles Baudelaire. In turn, worshipped by some as the savior of humanity and damned by others as its foe, he has had a profound, volatile influence on later and contemporary peoples and thought. Left-wing Germans of the 1890s began to follow his work, while right-wing Germans wanted to censor and ban it—though this faction would eventually come to use Nietzsche’s works as inspiration for their militaristic points of view. Likewise, the anti-Semitic right-wing French faction opposed the leftwing individualists and intellectuals, the Nietzscheans, while Nazi Germans (ironically, connected at some point to Wagner) identified with Nietzsche, and several esteemed philosophers—from Michel Foucault to Jacques Derrida to Albert Camus—have since been informed by his work. The Reality of the Mass Media (2000), a nonfiction work by Niklas Luhmann. A thorough discussion of the moralizing or demoralizing of a culture by way of contemporary media/technology. The Myth of Sisyphus (1942), a philosophical essay by Albert Camus. Futility, absurdity, and meaninglessness compose the approach by the author, who explores humanity's hopeless attempts to understand human existence. The Ethics of Ambiguity (1947), a philosophical essay by Simone de Beauvoir. In this well-conceived departure from existential philosophy as Nietzsche commanded it, the author explores freedom and free will, politics and phenomenology, and much more. While most of his ideas and many of his works have gained popularity and loyalty, many standing out as most often read, re-read, studied, discussed, and even adopted, there are particular works that are considered most impacting, among them Beyond Good and Evil and Thus Spoke Zarathustra. Thus Spoke Zarathustra (1883). Upon Lou Salome’s rejection of his rare advances, Nietzsche returned to the melancholy of solitude and to working on what is also considered one of his greatest works. In this verse epic—which developed into four volumes over the next two years—Nietzsche altered his theories of the will to power and eternal recurrence and introduced his most popular, and most misunderstood, concept, that of the übermensch, or superman. 1. After reading Thus Spoke Zarathustra, consider how you would explain the concept of the will to power to someone who knows nothing of Nietzsche or his concepts. 2. Several philosophers throughout history have offered allegory and recognizable, concrete objects to their readers to illustrate profound concepts. Plato used the cave, for instance; Camus had Sisyphus. Kierkegaard referred to the abyss. What allegory or objects would you use to explain Nietzsche’s concepts of the will to power and eternal recurrence? 3. Considering the sociopolitical climate in Germany during Nietzsche’s time, why was it, in your view, that Nietzsche’s popularity went in waves? With which groups was he popular at that time, with which was he not? Why? With which groups might he be popular today? Hayman, Ronald. Nietzsche: A Critical Life. Oxford University Press, 1980. Kaufmann, Walter. Nietzsche: Philosopher, Psychologist, Antichrist. 4th ed. Princeton, N.J.: Princeton University Press, 1974. Lampert, Laurence. Nietzsche’s Teaching: An Interpretation of ‘‘Thus Spoke Zarathustra’’. New Haven, Conn.: Yale University Press, 1986. The Gutenberg Project. 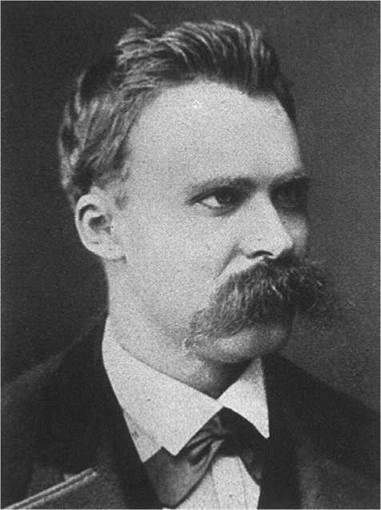 Nietzsche, Friedrich Wilhelm, 1844-1900. Retrieved February 9, 2008, from http://www.gutenberg.org/browse/authors/n#a779. Video Google. Human, All Too Human: Nietzsche 1949. Retrieved February 9, 2008, from http://video.google.com/videoplay?docid=-1842405914 61103528.